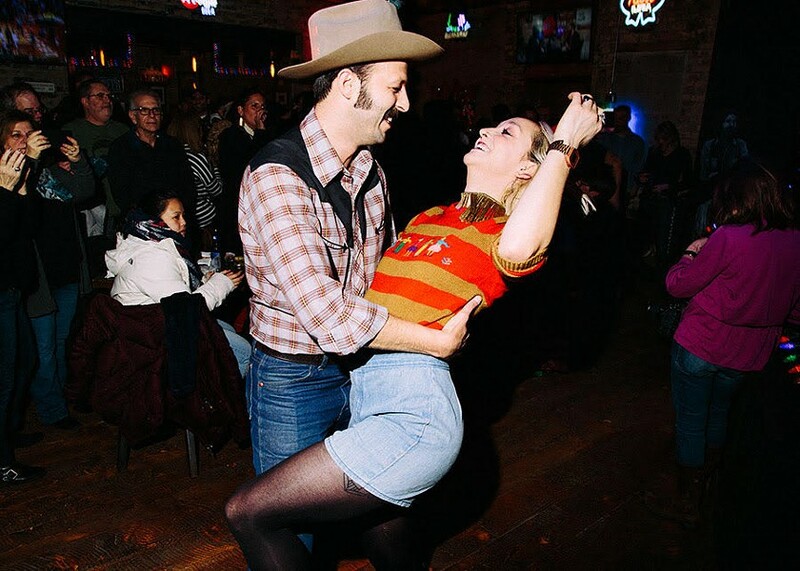 The first night Diamondback returned to Carol's, folks showed up ready to dance. Like the Sundowners with their 25,000-song repertoire, Diamondback has been playing together for so long that it's not just an intuitive working unit but also a living jukebox. 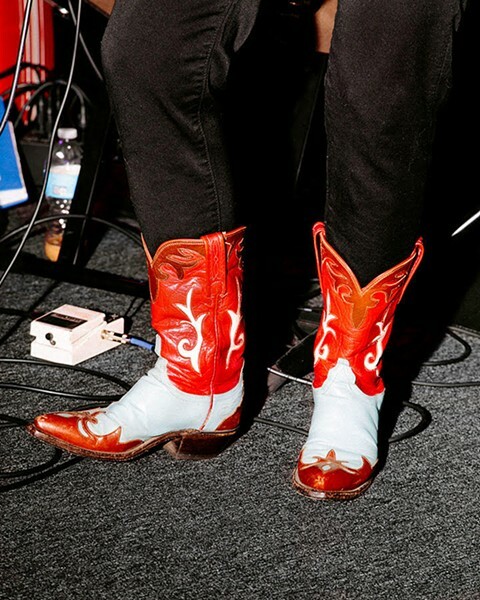 On Friday, the band veered through staples by the likes of Willie Nelson, Dolly Parton, and Merle Haggard and also played newer material by Deana Carter, Alan Jackson, Alabama, and even Warren Zevon. The stage at the new Carol's is bigger, and the sound system is stronger. Gone is the "tip tree"—the floor-to-ceiling strip of sticky tape to which dancers could stick dollar bills to request songs—but in its place is a bucket. The crowd on Friday didn't take long to put it to use. 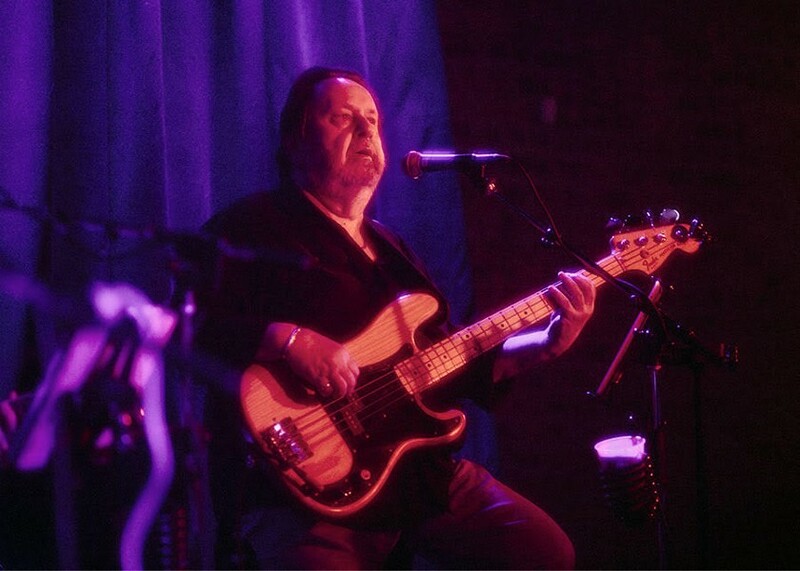 Also missing is bassist Mike McKeehan, who'd been commuting from Cincinnati to play Diamondback's weekly residency at Carol's since January 1999 (mostly because he had such difficulty finding steady work back home). McKeehan died of a heart attack last March. Days before Friday's gig, Diamondback singer Reva Goodman was already feeling his absence all over again. "It's going to be kind of tough walking in there without him," she said. 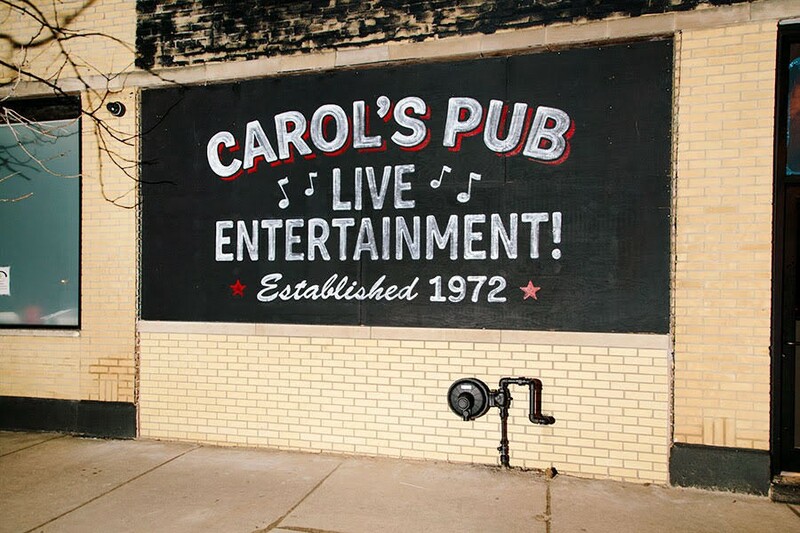 For many years, Carol's was the last remaining spot on the north side where audiences could hear traditional country music. Diamondback got started in the mid-70s, with singer and pedal steel guitarist Teddy Douglas as bandleader. 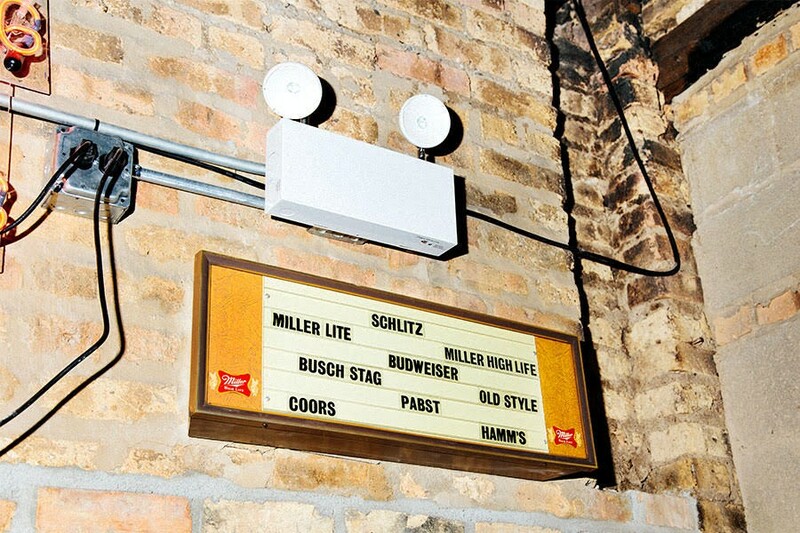 Over the years, as openings arose in the lineup, Carol's bar manager and doorman Jimmy Curry slotted in new players—another anachronism in an era when bands tend to run themselves. Goodman is the longest-serving member of the current group, having replaced Douglas, who left in September 1999. "They didn't want a girl in the band, but they got stuck with me anyway," she says, laughing. 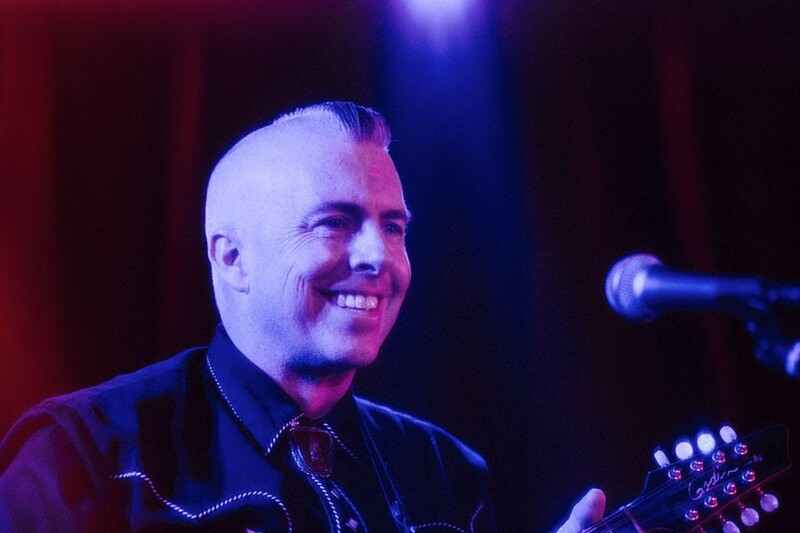 In the current edition of Diamondback, multi-instrumentalist Pat Keiner adds steel guitar and mandolin, so that the band's arrangements tend toward a relatively textural approach. The versatile trio of Goodman, Keiner, and bassist Rich Nelson trade off lead vocals; Lee Borek handles lead guitar, and Joe Kunkel plays drums. Back when Diamondback first ruled Carol's, the band played to line dancers and locals from the neighborhood. 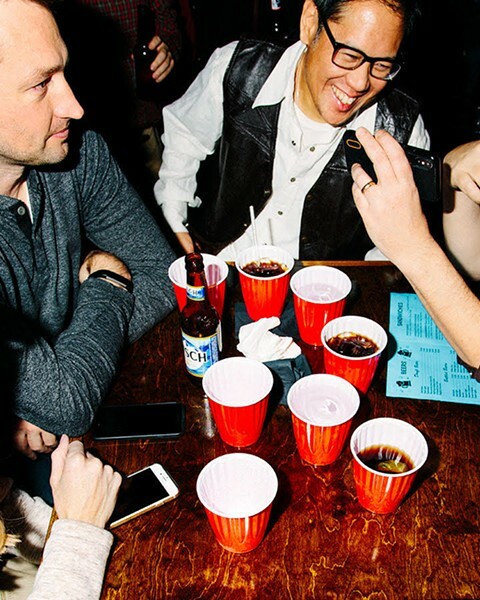 By the early 2010s, the bar had begun attracting millennials and curiosity seekers off the tourist trolley. 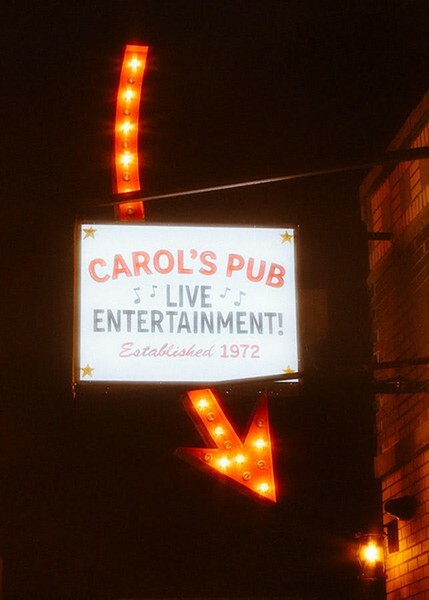 But 44 years after opening as Pam's Playhouse, Carol's abruptly closed its doors—the Illinois Liquor Control Commission had the final say. 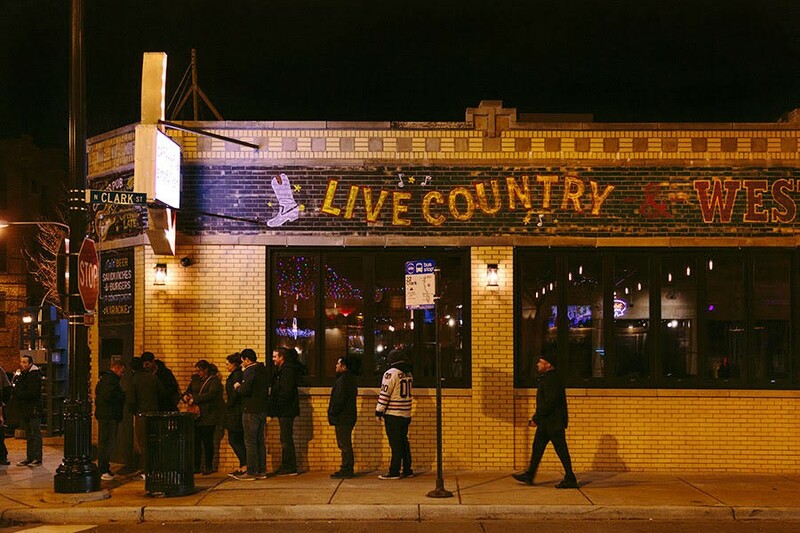 The bar's liquor license was revoked over nearly $55,000 in unpaid state taxes. An online fund-raising site went live to solicit contributions, but it only managed to raise $725. Carrel Schulke, 61, was a regular back when Carol's had concrete floors and nicotine-stained ceiling tiles. "It had ambience," she says. "No one judged anybody. Everyone was there to have a good time." Since the bar's closure in 2016, she's moved to central Florida, but she returned to Chicago just to be in the room for Diamondback's first night back. "In my mind, it was a pipe dream this place would reopen," she says. "I didn't think anyone would do it." But Ed Warm did. Warm, 52, has been promoting country music in Chicago for 20 years—he's a co-owner of Joe's on Weed Street and a partner in Joe's Live in Rosemont and Bub City, and he cofounded the country festival Windy City Smokeout. When Carol's shuttered, he says, he "felt drawn" to doing whatever it took to get it back open. That turned out to mean "a lot of due diligence and a lot of legwork, time, and money to clear up" the back taxes. Warm credits the city for helping shepherd him through the process. 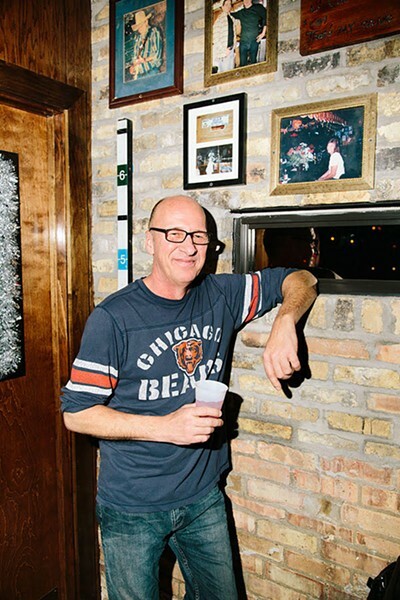 "They told me Carol's has one of the five oldest liquor licenses in Chicago," he says. "It's nice to see that preserved." This means, of course, that the new Carol's is likewise a 4 AM bar. Carol's won't have a house band anymore, but Diamondback will rotate regularly through the schedule (they're back Saturday, January 5). 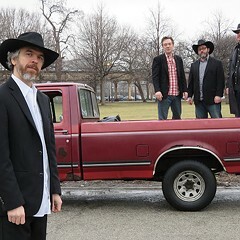 Among the acts Warm has on the schedule are Chicago honky-tonk traditionalists Dan Whitaker & the Shinebenders (Friday, January 4) and the Steel Woods, a southern-rock band from Nashville (Saturday, February 16). He's reserving Thursdays for groups playing original music. 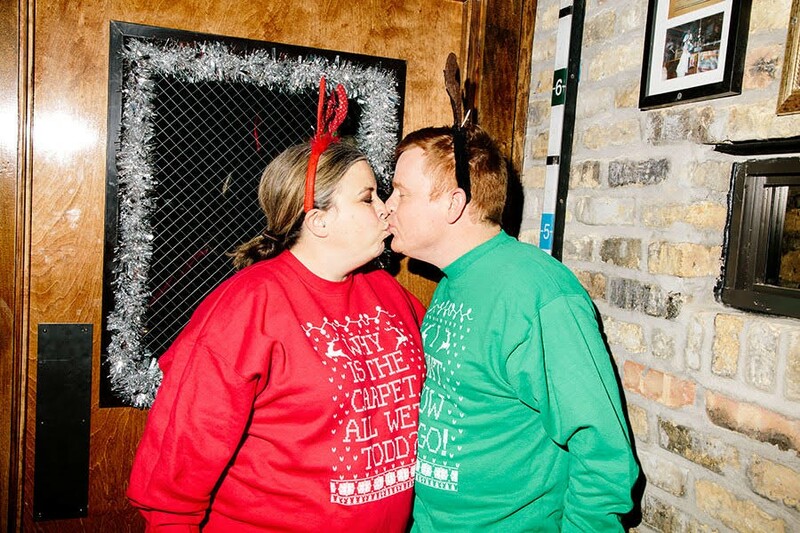 'Tis the season for Christmas Vacation couples sweaters. Warm says he recognizes the significance of keeping Carol's open in Uptown, a part of the city once known as "Hillbilly Heaven"—by 1968, more than 65,000 whites from West Virginia, Kentucky, and other Mid-South states had migrated to the area seeking work. Poverty prevailed as the neighborhood's high-rise hotels were converted into one- and two-room apartments and slumlords picked up properties for cheap. 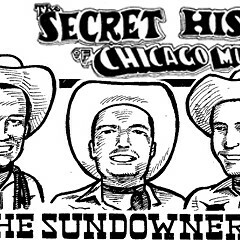 The neighborhood was notorious for hard living—in 1979 the Los Angeles Times called Carol's "one of the toughest bars in Uptown"—but music could be heard everywhere, pouring out of storefront bars with colorful names: the Southern Inn, the Hillbilly Nitery, the Memory Ranch, Tex Carter's, the Ringside Ranch, the Dude Ranch, the Wagon Wheel, the Hillbilly Inn, Dome Stables. "Carol's was a huge part of country-music history in this town back when there were all these honky-tonks. Carol's is pretty much the last of them," Warm says. Greg Yonan, 55, who lives in a graystone his grandparents bought down the street in 1952, has "seen the neighborhood go up and down" over the years. "I'm glad to see it go back up," he says. Waiting for Diamondback to take the stage, Yonan looked around the bar and pointed out the obvious improvements. "More people, less fruit flies." Warm has retained elements from the original bar, such as the windows with stenciled lettering, which now hang as ornaments from the new brick wall on the Clark Street side (which had to be completely rebuilt because of foundation issues). 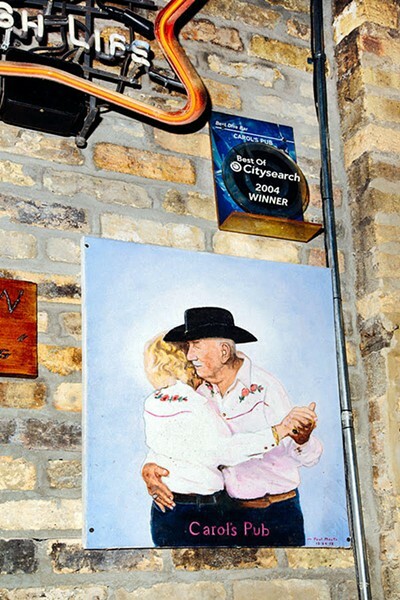 The wall on the Leland Avenue side is lined with photos of old-school country stars such as Glen Campbell and Hank Williams as well as an oil painting of a senior couple who were regulars on the Carol's dance floor. The original outdoor sign, with its red arrow shooting toward the front door, has been restored. The iconic Carol's sign has been restored. "They kept the old charm but cleaned it up," said Hope Brown, 72, of Albany Park, who'd returned to the bar Friday after having been a regular for nearly 30 years. She scanned the audience, a good mix of younger and older folks. "It's nice to see this many people coming out to hear the old country." The rectangular island bar is intact, and the bathrooms are bright and modern rather than dark and bleak. There are more tables and booths against the south wall. In contrast with the mostly microwaved fare of its past, Carol's now has a proper kitchen offering pub food. 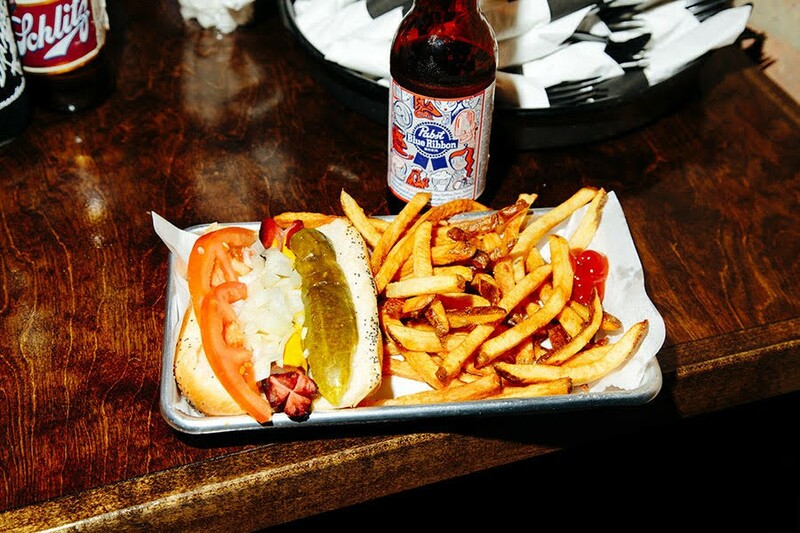 Hamm's and Pabst Blue Ribbon are still available, but the beer list now features local craft brews from Three Floyds, Revolution, Begyle, and Half Acre. Customers can now order cocktails too, including an old-fashioned and a Moscow Mule. The new Carol's has a kitchen, not just a microwave. Carol's also offers beers from Three Floyds, Revolution, Begyle, and Half Acre. Melissa Duplantis, 38, of Ravenswood Manor says she became a Carol's regular just a year or two before it closed. She treasured its original incarnation—"It was kind of trashy and low-key"—but finds the new version more appealing. "It still feels like Carol's, but just a bit more accommodating," she says. Near the front door is a familiar face—a framed photograph of former owner Carol Harris, grinning while planted on her longtime stool facing the stage. Her spot is still there, but Harris lives in the suburbs now. Her brother Bob Hirtzig says she probably won't visit because it could be too painful. "I don't think she'll come back to see what she could have had." Bob Hirtzig, brother of former Carol's owner Carol Harris, poses with a photo of Harris at the bar (above his left elbow). Harris opened Carol's with her husband Ted, who died in 1983. Over the next 33 years, her namesake bar shaped her identity and became her home. "I can't leave the place," she told CMT.com in 2007. "It's part of me now." Hirtzig, 54, tended bar for nine years at Carol's before it closed, but on Friday he was enjoying drinks by the front door with friends, watching people stream through the front door. Would he ever consider slinging drinks again, like in the old days? 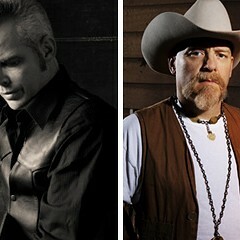 These beloved country workhorses never toured or scored a hit, but their repertoire of 25,000 songs made them hugely influential on the alt-country scene.